What are “legumes”? 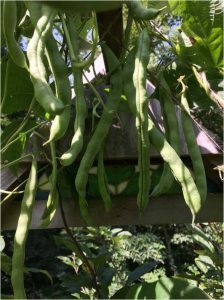 Plants with seeds in pods, such as beans and peas, that belong to the Leguminosae (or Fabaceae) family. These delightful vegetables are among the most commonly grown in home gardens! Beans and peas are delicious and nutritious, providing protein, fiber, and complex carbs! Seeds are large, easy to plant, and produce lovely self-pollinating flowers. They “fix” nitrogen from the air so nodules on their root systems actually enrich the soil! Plants prefer full sun, loose freely-draining mildly acidic soil, and benefit from uniform moisture. Cultivate your site before planting time to kill over-wintering bean beetle larvae. Varieties. Choose disease-resistant varieties. Space according to planting distances on the seed packet; note the recommended planting depth. Supports. For vining peas and beans, establish your structure (stakes, teepees, or trellises) before planting. Supports must be sturdy and wind resistant, set several inches into the soil, and placed where they won’t shade sun-loving crops. 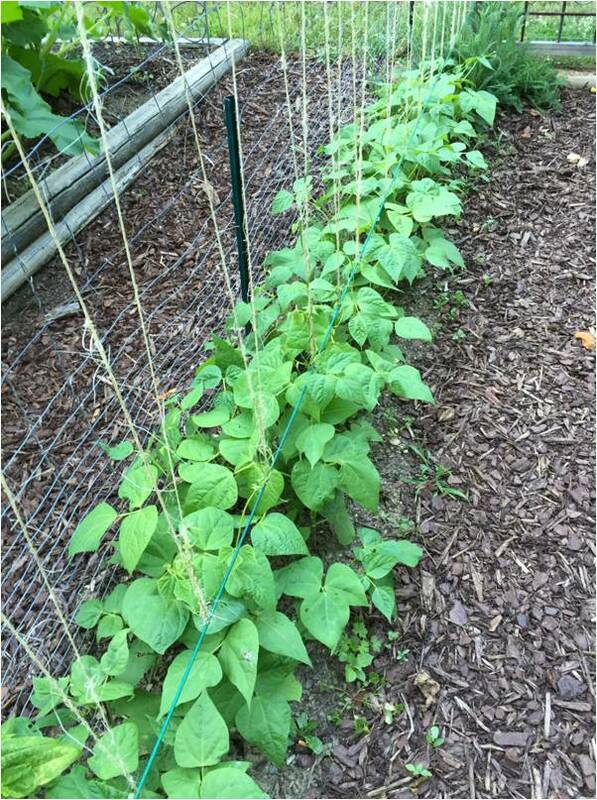 Plant vining and field peas as well as pole and bush beans in double rows, with a trellis for support. In raised beds, plant shorter pea and bean varieties in blocks. Young plants sometimes need help wrapping around strings or poles, but once started, they will continue climbing on their own! Peas. Soak pea seeds overnight before planting for earlier germination. 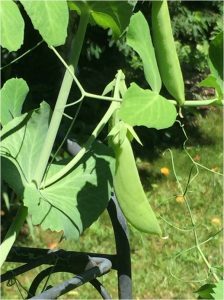 Bush and vining peas (including the sweeter edible-podded varieties) prefer cooler temperatures. In Western North Carolina, plant bush and vining pea varieties between mid-February and mid-April. Plant field (southern) peas between May 1st and the end of June. Beans. Beans split apart and/or quickly rot if oversoaked, so soak only briefly (a few hours) if you prefer pre-soaking. Plant bush and pole snap (green) beans from March to mid-July. Plant bush and pole lima beans and other bean varieties for drying from May 1 to mid-June. Plant snap and bush beans in successive crops, but plant pole, lima, and dry beans (kidney, navy, and pinto) only once to ensure maturity. Look on the seed packet for the days until harvest. Water. Keep your planting moist until seeds sprout—water plants close to the soil and avoid handling and working when plants are wet. Mulching once plants are 6 inches tall helps moderate soil temperature and moisture—keep mulch away from plant stems! Remove weeds as soon as they appear. Watch for insects and diseases. Hand-pick Mexican bean beetles and Japanese beetles. Squish or hose off aphids. Remove dead or diseased plants—discard in trash rather than compost! Note: Young and tender bean pods (snap, French, or string beans) are delicious. 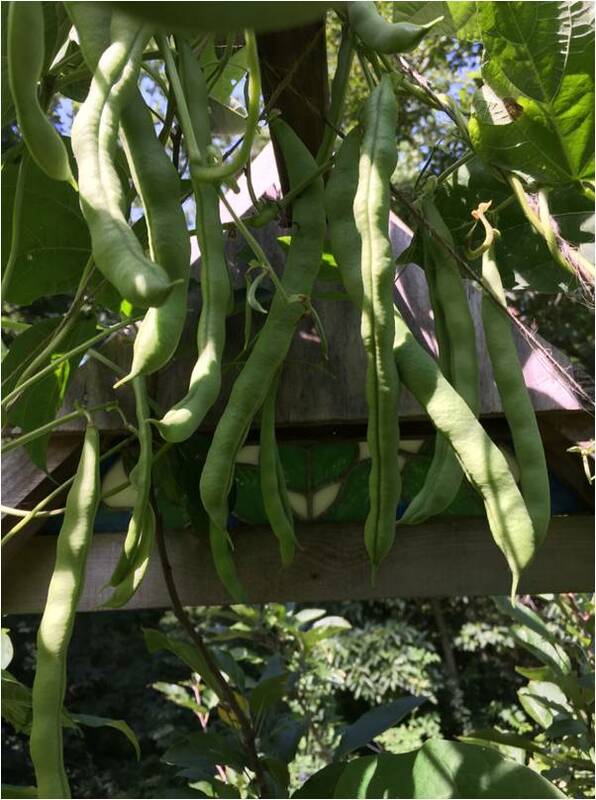 You can eat seeds within pods (butter or lima beans) before maturity and can leave seeds within pods to mature and dry (navy, kidney, and pinto beans). Preserve excess through canning and freezing, as well as drying. After harvesting, cut the plants off instead of pulling them, so the roots decay in the soil providing nitrogen, enriching the area for your next season’s plantings! Rotating your legume crop location at least every three years minimizes insects and diseases. Legumes taste great and provide a powerhouse of nutrients. Their culinary uses are extensive— so why not try legumes in your garden this year? They are inexpensive, prolific, and easy to grow! Article written by Mary Alice Ramsey, Extension Master GardenerSM Volunteer.